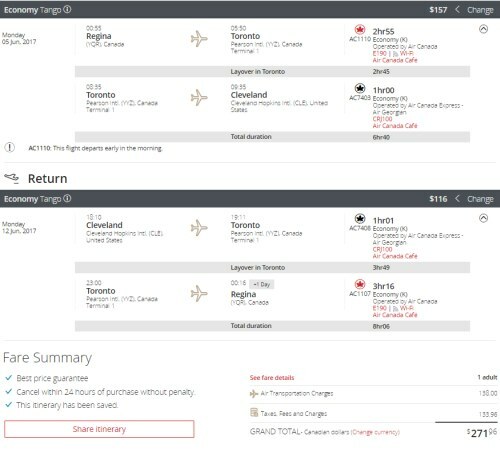 Air Canada has dropped the price of their flights from Regina to Cleveland, Ohio down to $272 CAD roundtrip including taxes. 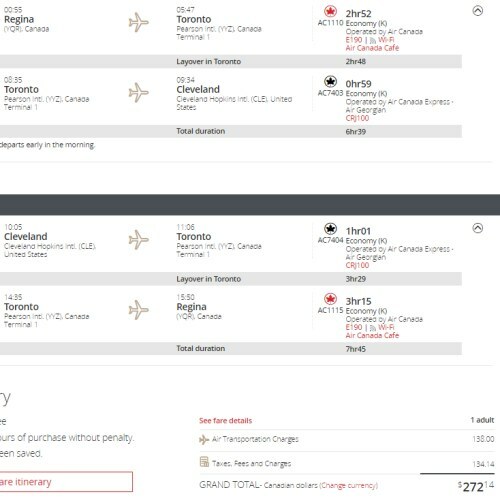 This is 45% below the typical best roundtrip prices from Regina to Cleveland. 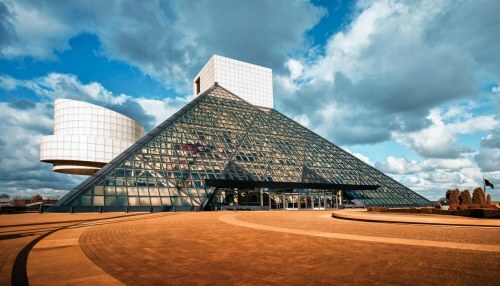 regina, yqr, united states, flight deals, air canada, north america, ohio, cleveland and cle.